Do you ever have a day or moment that you ask yourself, “where did the time go?” I know that I do. It is 6:50 am this morning, and I am in lower Manhattan, at where else……but Starbucks. It has been over 20+ years that I have been commuting to NYC for Beauty or Hair Color educational projects. There is always something magical that happens when I am approaching the George Washington bridge. It brings me back, and way back to when I was only a little girl with a dream of being a hairstylist. However, more importantly is my gratitude for whatever the situations that present themselves that I continually get to work in the city. This year I will celebrate 25 years “Behind The Chair”, and I am really, really not sure where it went. When I got out of hairdressing school, I knew very quickly that there was so much more to learn. When it was my first day of school, the school had us write down why we chose this industry, and what are plans were for the first 10 years. For myself, I thought that I would own a salon by year 10, and that it would take about 10 years to get a “foundation” of knowledge to be able to even think of owning a business. It turns out that I was not far off. 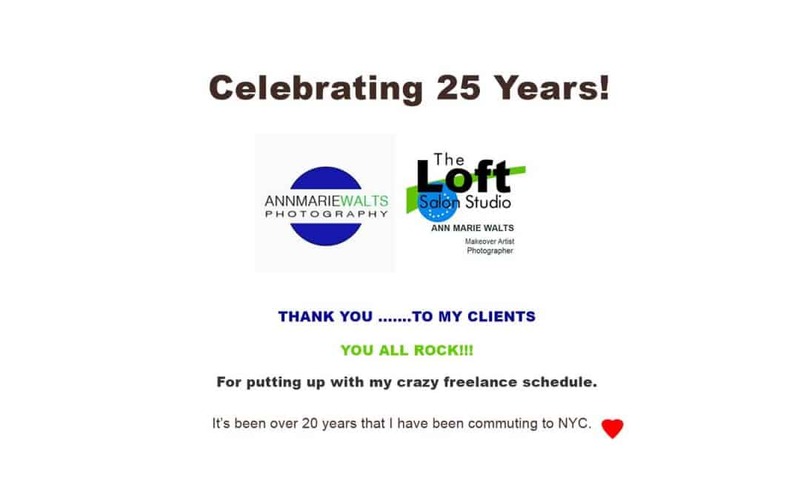 In my 11th year, I opened my first location that was named “The Loft”. A lot has happened since 1999, for sure.